It’s been 10 years since The Dark Knight, aka the Batman movie of all Batman movies, was released and changed the game for superhero films. In honor of the film’s big 1-0, Warner Bros. will rerelease it exclusively in four select IMAX theaters. That’s right: for one week beginning Friday, Aug. 24, you’ll get to see Heath Ledger‘s Joker and Christian Bale’s Bruce Wayne battle it out in all their IMAX glory. Tickets officially go on sale July 20 for the select IMAX locations: AMC Citywalk in Universal City, CA, AMC Lincoln Square in New York, AMC Metreon in San Francisco, and the Ontario Place Cinesphere in Toronto. Though The Dark Knight was the sequel to Christopher Nolan’s 2005 Batman Begins, it’s arguably the landmark film in his Dark Knight Trilogy. The Dark Knight took Nolan’s story of Bruce Wayne to a whole new level by pitting him against a seemingly sociopathic Joker and enraged Harvey Dent (sublimely played by Aaron Eckhart), who by the end of film has become his supervillian alter ego, Two-Face. 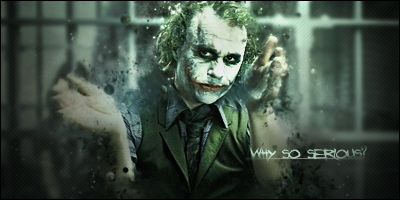 Ledger’s performance as the Joker had audiences shook; his dedication to bringing out the twisted nature of Batman’s iconic nemesis resulted in a posthumous best supporting actor Oscar win and eternal status as one of the best Jokers to grace the big screen. Not only was The Dark Knight a massive box office success, opening to $158.4 million and closing at $1 billion worldwide, but Nolan literally changed the face of feature filmmaking! The director teamed up with Oscar-winning cinematographer Wally Pfister and made The Dark Knight the first major feature to utilize IMAX 70mm film. So don’t forget to grab your tickets on July 20 and watch the Dark Knight Trilogy beforehand to brush up on the awesomeness that Nolan gave us.